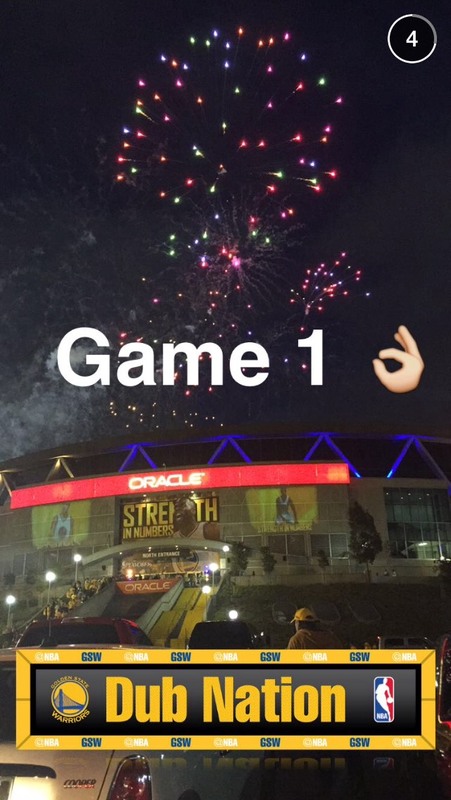 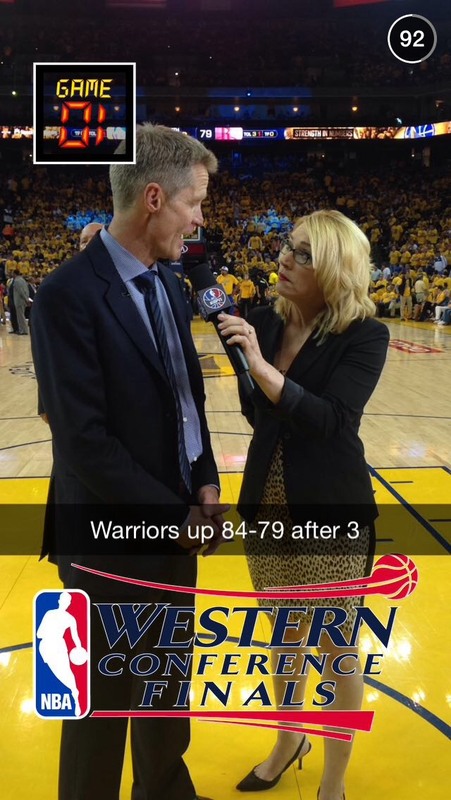 Follow all the Snapchat Stories here: What’s on Snapchat Stories Today? 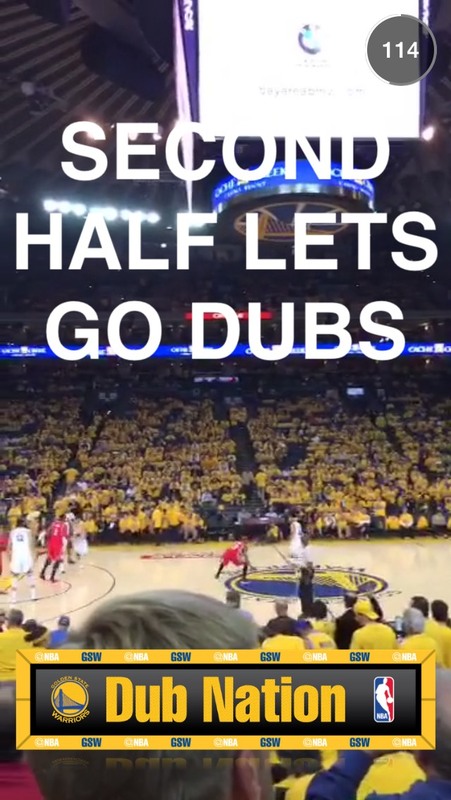 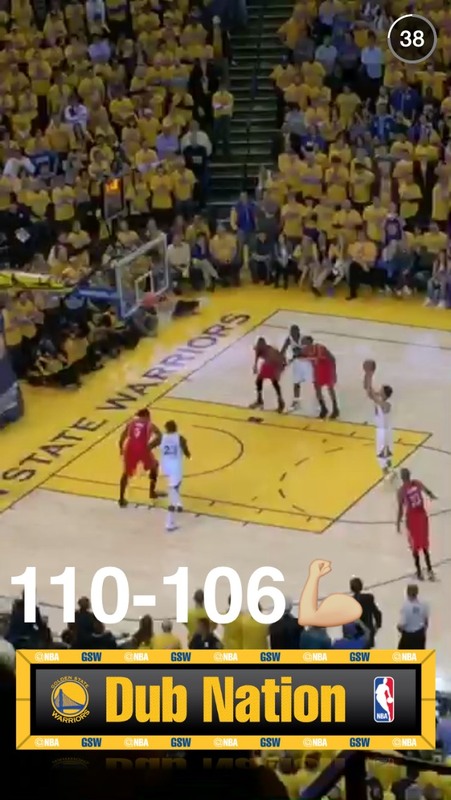 There were many more Snapchat pictures and videos from Golden State fans in this particular game but that comes as no surprise as the first game was at Golden State. 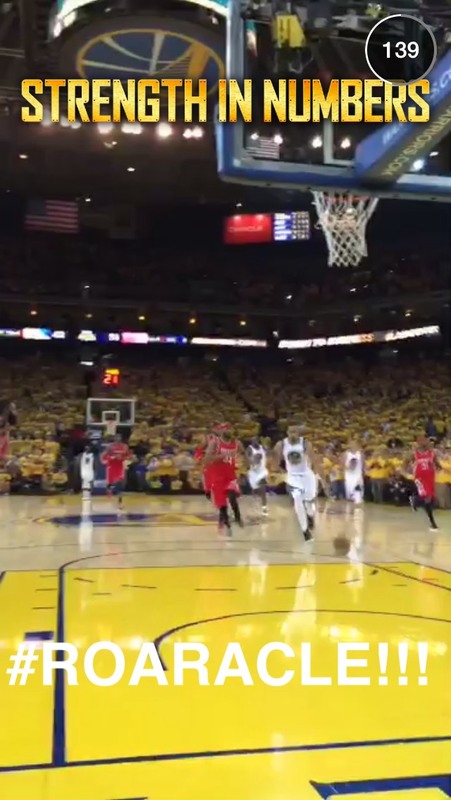 When the series goes to Houston we will likely get to see a ton of Rockets fans cheering on Dwight Howard and James Harden.